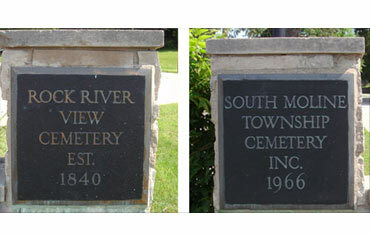 South Moline Township Cemeteries: Rock River View Cemetery est. 1840 and South Moline Township Cemetery est. 1966.